Description : Podcast Spot is the best place to get conversational with podcasting! Create a podcast and share it with your friends, family, or even the world. Just send Podcast Spot your media file and we’ll do the rest. 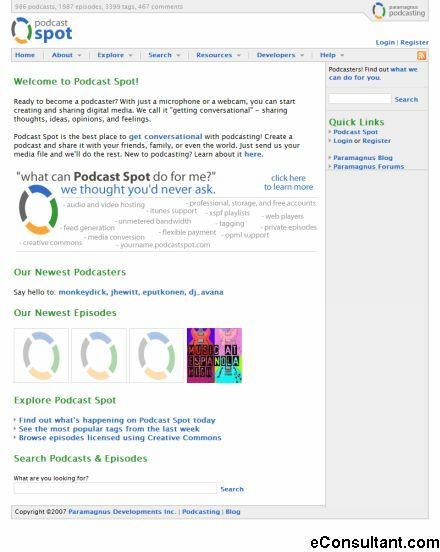 Podcast Spot is a hosting service (a place for podcasters to store their files, and for listeners/viewers to download them from) with powerful features for both podcasters and their audience.